My friend Winy celebrated a milestone a few weeks ago and decided to go all out by inviting a group of us on a 24H Icelandic adventure. 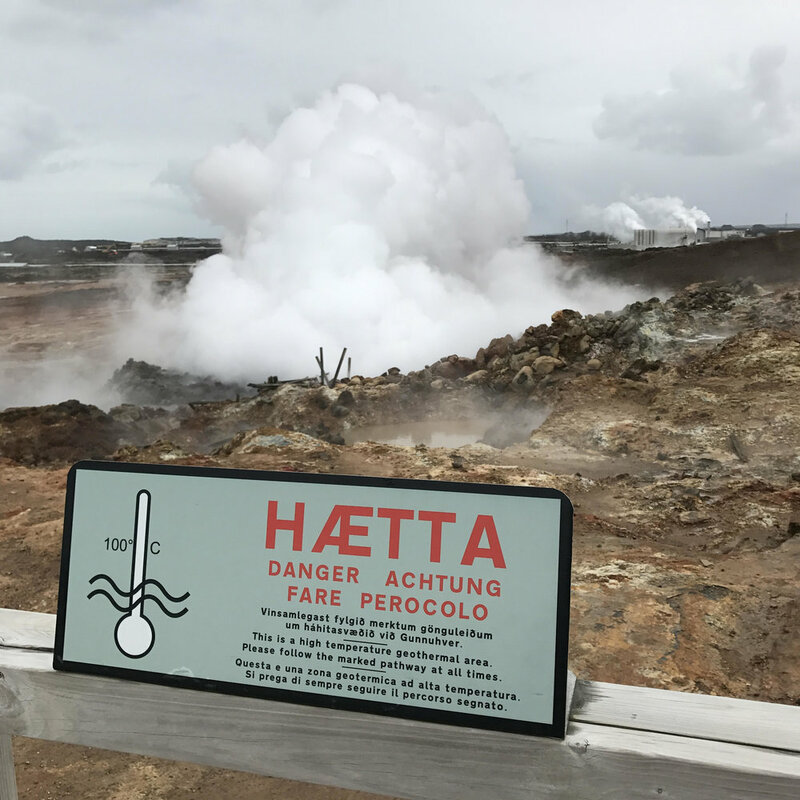 When I hear about Iceland, I think Blue Lagoons but there is so much more to discover! 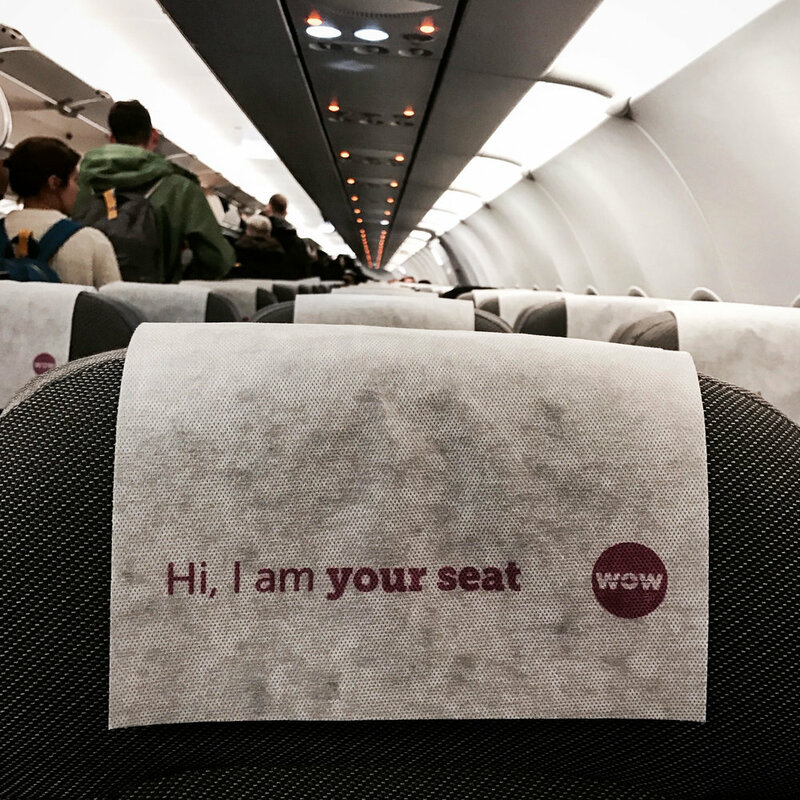 We flew with Wow Air which is a low cost carrier from Iceland. As tacky as it may sound, once you check out their prices you will literally end up saying 'wow'! So what is the catch with these prices that sound too good to be true? There aren't any per say. From their prices to the service offered, the whole experience is simply wow! The colors of the brand are also fun with the flight attendant's uniform to the purple planes. The 'per say' part has been added simply because there are a few things you need to know. 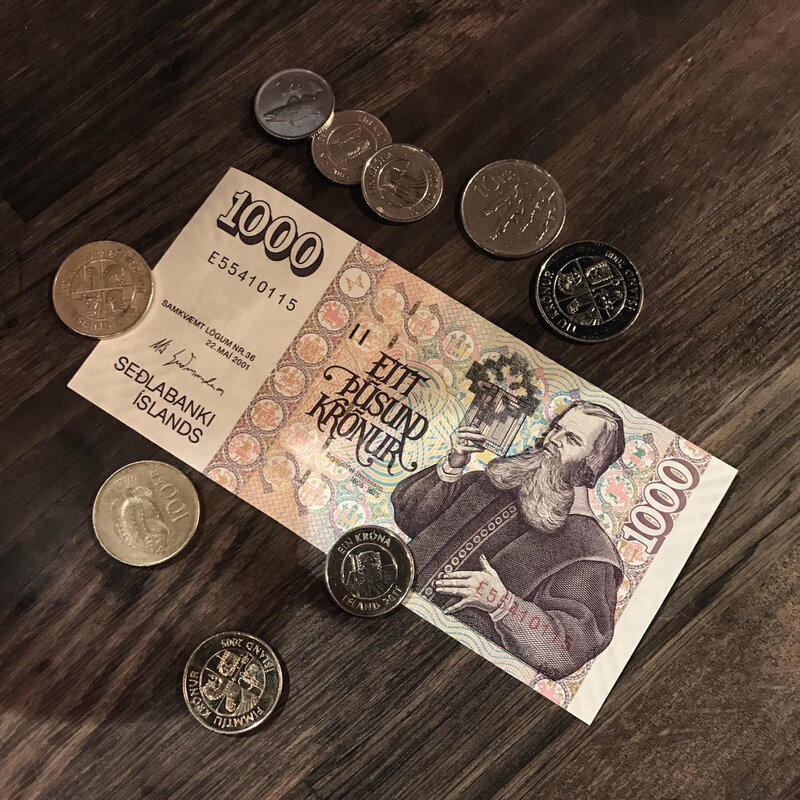 For example, the size of your carry on allowed on the plane is smaller than usual and checking in your luggage will cost you around 64$ CAD (online and around 90$ CAD at check-in) . There is no business class or first class, simply a front row with more leg room! Get your credit card ready because the food provided has to be purchased. Knowing that you paid a very low amount to fly, these extra expenses are understandable. CHECK OUT THEIR BEST FARES! Upon our arrival in Reykjavik, we had a full day planned with the lovely expert Gunar from Islandic Nature Tours. 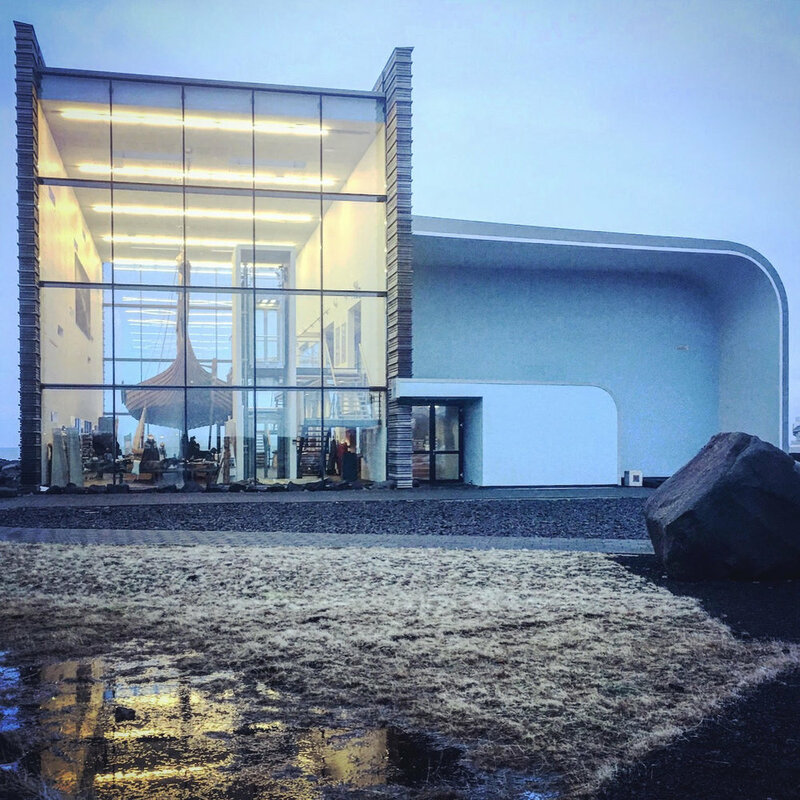 Although I am not a fan of tour guides, I was glad we had one because there is so much more to do than the lagoon plus the richness of Iceland's story is worth discovering. The setting is surreal and the air is rejuvenating in Iceland! BOOK a tour with Gunar and discover hidden breathtaking places! First we had breakfast at Viking World which is a beautiful museum created to learn about the Vikings and their history. A must! 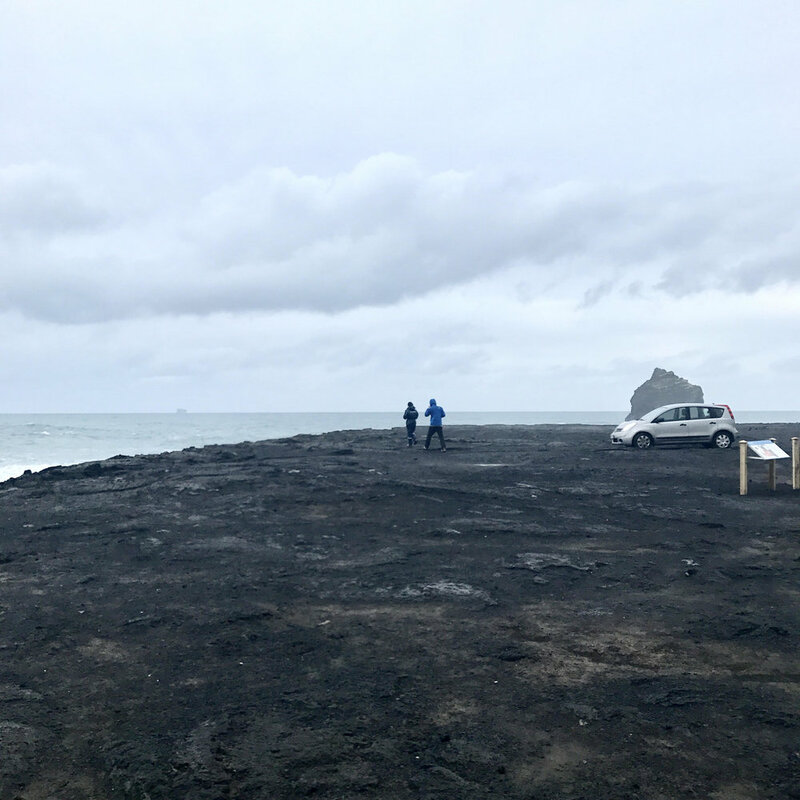 We then drove down to the geothermal areas, visited the tip of Reykjanes and my memorable moment; the bridge between two continents. On one side we see Eurasia and on the other side, America. 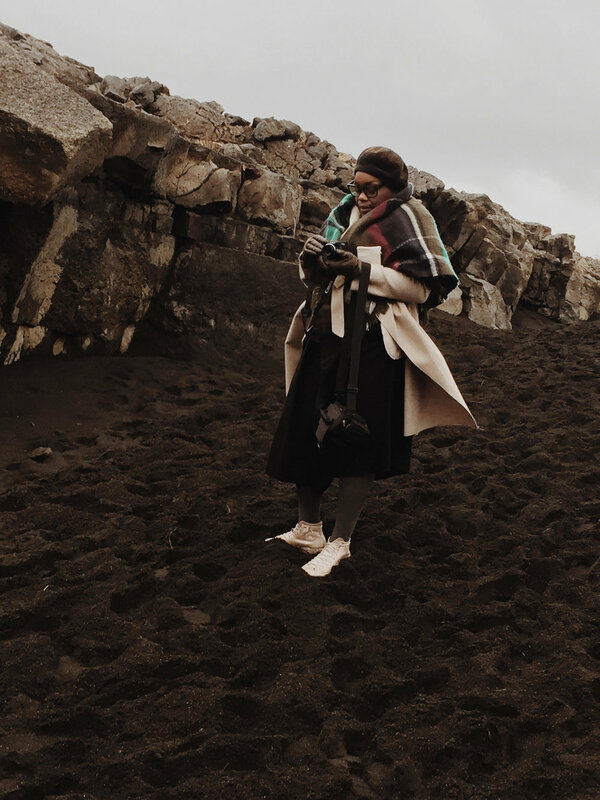 With the scenery and black sand, we were inspired to take a few pics! Our late lunch as at Hja Höllu in Grindavik (few minutes away from lagoons) where we had the best meal I have had in months. The restaurant is modern and cozy with a great wine selection.. We had the pleasure to try a white fish, sweet potatoes with a balsamic reduction on the side, simply perfect! Next ATVs were waiting for us courtesy of the 4x4 Adventure Iceland company. We geared up to drive around near Grindavick which was quite exhilarating! Another must!!!! The group still had some energy for more sightseeing in the area and of course visit the lagoons which lead to a boat ride to catch the sunset. Up to this point we were beat, jet-lagged and ready to head to our hotel. 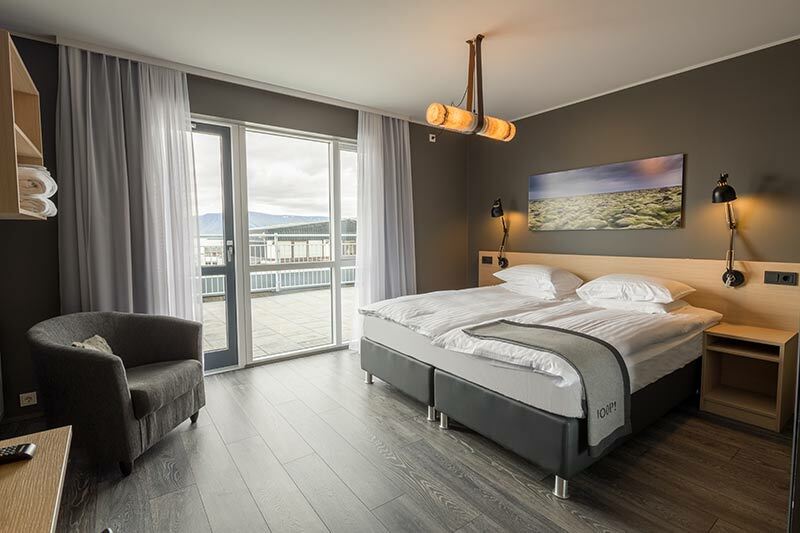 Once we arrived at ALDA hotel, I was ready to hit the sauna in their fitness center and rest because all of this moving around got the best of me. The rest of the group went for dinner downstairs (which i received great feedback for it). After 2hrs of sleep it was already time to pack and catch a plane to Paris....! 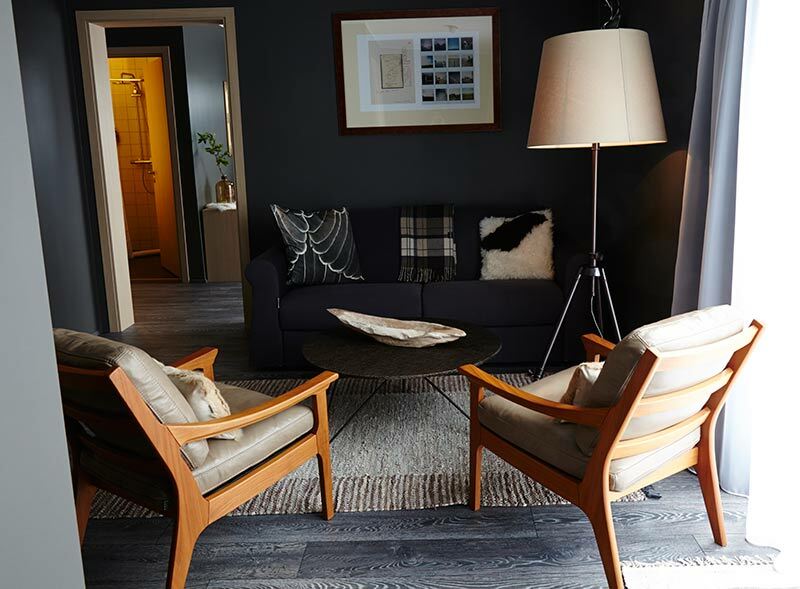 Please note that the pictures for the hotel were taken from their official website. Quite frankly, I recommend Iceland to the nature lovers and the ones who simply love to discover the world. With Wow Air offering direct flights at a good price so you pretty much have no excuses. NB: This was a great resume of our trip but for more information, leave a comment or message and I will get back to you.